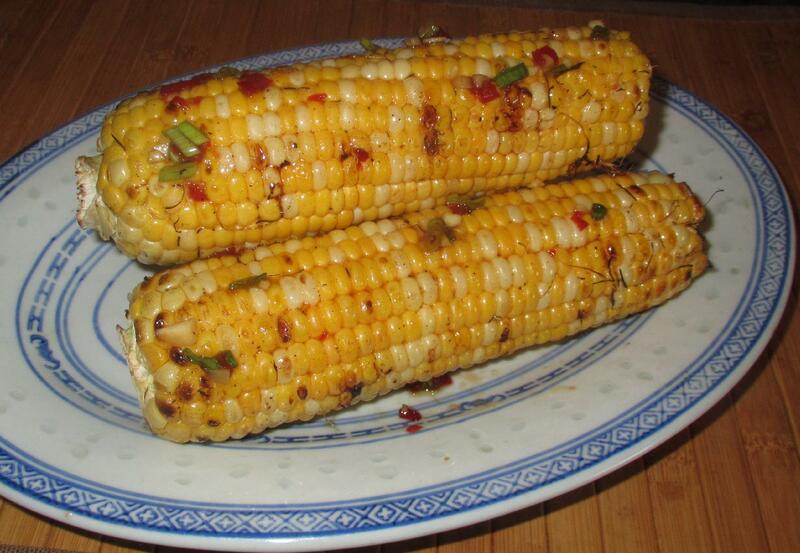 Corn on the cob can be grilled inside its natural outer casing, wrapped in foil, or ‘naked’ over a direct flame. Today, I will be using the latter method (chiefly as my cobs are pre-shucked) and, while this requires a bit more attention, it has the advantage of allowing to see how things are going during the cooking process. Beyond these ingredients, you will also need a bit of extra oil to brush on the cobs before putting them on the grill. 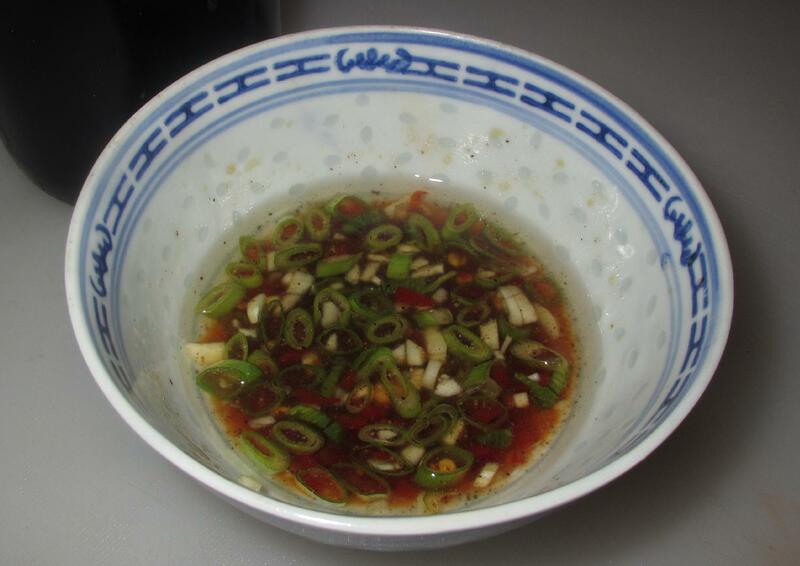 For the direct grilling method, it is advisable that you not marinate, or even pre-baste, using the above mix. Marinating for any length of time would tend to overwhelm the delicate flavor of the corn and the salt component may draw out some of the juices making it too dry when grilled. Even pre-brushing would cause the sugars to darken the cobs excessively and so the mixture will only be used towards the end of the cooking time. 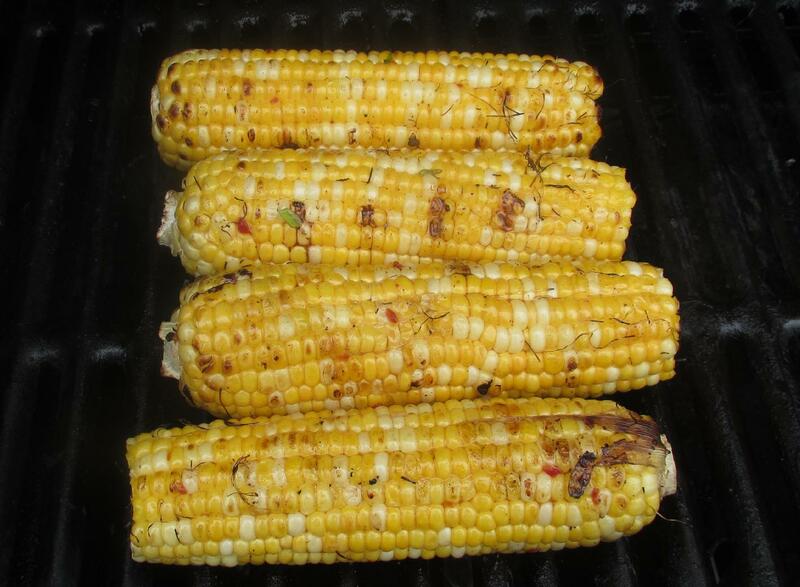 Pre-heat your grill and, after brushing the cobs with oil, pop them on over a medium flame. The cobs will only take 10 or 15 minutes at most to cook (depending on size) and you need to keep turning them as brown spots appear where the grains contact the grill. Towards the end of cooking time, brush the flavoring mix liberally over the cobs and give them a few more seconds on each ‘side’. You can brush on one last coat just before serving or, alternatively, make enough ahead of time so that you can serve small bowls to each diner to apply more as desired. Well, my wife said she could eat this every day and I really enjoyed it myself. I love boiled corn on the cob with butter but I think, given the choice, I’d take the grilled variety any time. You really must give this one a try! I’ve never used fish sauce on corn! A revelation! I love grilling corn in the summer and your Asian flavors sound terrific.